As unfortunate as it may seem, here on our side of the world everytime we hear the term "BPO" we often think of companies that drown employees with phone calls until they lose their voice. Fortunately there are companies out there that are working hard to get out of the BPO stereotype, one great example would be EXL which had their third and biggest Family Day to date for their Philippine employees. 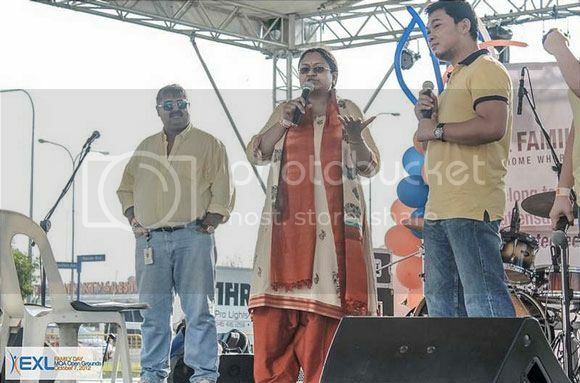 Dubbed as the "Home Where I Belong" EXL's Family Day drew in more than 3,000 attendees for a day of fun and activities. I know some companies here have their own Family Day thing every now and then but I think one of the things that set EXL's event apart is that employees were allowed to bring not just 2 but 3 family members. 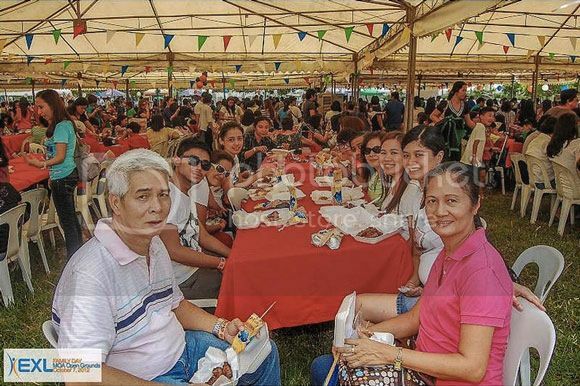 Held at the SM Mall of Asia Concert Grounds last October 7, 2012 families were treated to great food from Ineng’s BBQ, Jollibee and Pepsi among others. The event which coursed it's way from 1PM - 6PM had great activities and game booths for the kids. I'm pretty sure I would've enjoyed the Plants Vs. Zombies and basketball booths on the grounds but I think it's best to let the kids have their own time. 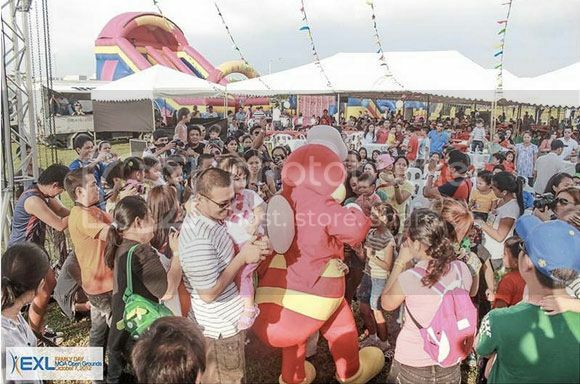 The kids also had a chance to dance with Jollibee and do some photo ops which I'm sure the adults liked too. EXL also officially launched has their own online "gift shop" which let's you buy EXL branded merchandise and have it shipped to any address you want. Employees had a chance to write on EXL’s huge Family Day Message Wall which had words like "proud", "fun" and "amazing" written multiple times. I can definitely say that BPO's are continually evolving and with events like EXL's Family Day I'm really hoping that traditional BPO's will follow suit to motivate their employees and ultimately keep everyone happy especially their clients. Does your company have it's own version of "Family Day"? Would it help you as an employee to have some events like this in the office? Share a thought on the comments below! this is sooo cool! hope more companies will have events such as this, to boost their employees' morale. Hope more company do this kind of thing.. This is a great event! I hope every company will have this kind of event. wish our company will have something like this as well. i like. great event. different from the usual christmas and other office parties.